Iconoplasty is a complex stew of electronic beats, surf guitar riffs, ambient noise and appropriated pop choruses, all courtesy of multi-instrumentalist, Josh Gross. Think of mashup DJ-but one that live-loops instruments instead of using samples, seamlessly switching between drums, guitars, and keyboards in a single beat, all while tap-dancing on an army of pedals to earn frequent comparisons to Ratatat, El Ten Eleven and a trained octopus. 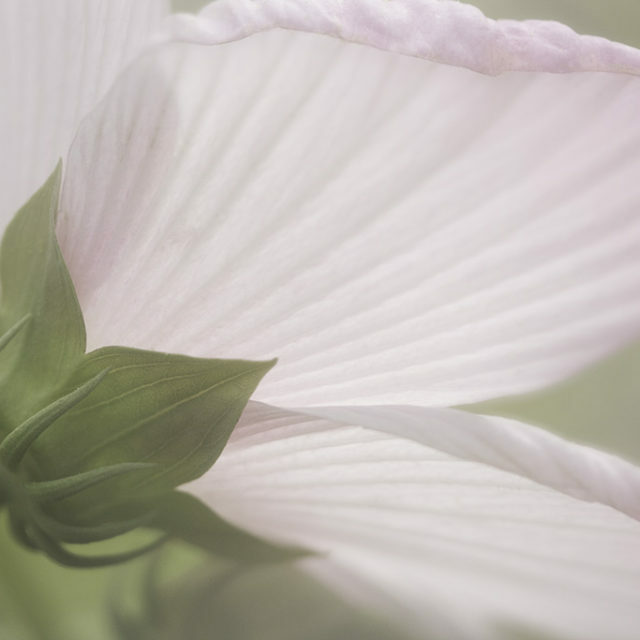 March 2017 Featured Photographer, Julie Bonney Show: Delicate Beauty Julie Bonney is a widely traveled local photographer who will be sharing a selection from her recent work, “Delicate Beauty” during March 2017. Favorite photography subjects for many are flowers. They speak the language of the heart touching us in ways that open us to the natural world. However, the challenge is to showcase them in ways that are less common and create a desire in the viewer to stop and take them in. Photography workshops can be a source of inspiration when things feel stagnant. To learn some new techniques, Julie participated in a flower photography workshop last September. Using tulle, lace, optic choices, shallow depth of field, multiple exposures and more unusual angles of perspective she immersed herself in the joy of rekindling her love of floral photography.